Sgt. Jason T. Palmerton was born on February 21, 1980 in Hamburg, Iowa. He was a detachment communications sergeant assigned to 1st Battalion, 3rd Special Forces Group (Airborne) at Fort Bragg, N.C. He died July 23, 2005, after he was fatally wounded while his patrol was ambushed in the vicinity of Qal’eh-Ye Gaz, Afghanistan. 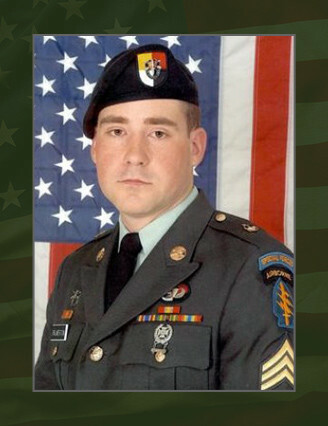 Palmerton entered the Army in July 2002 as an infantryman. He graduated from the Special Forces Qualification Course in 2004 and was then assigned to the 3 rd Special Forces Group (Airborne) in February 2005. Palmerton then deployed to Afghanistan in June 2005. His awards and decorations include the Army Commendation Medal, the Afghanistan Campaign Medal, the Global War on Terrorism Service Medal, the Non-commissioned Officer Professional Development Ribbon, the Army Service Ribbon, the Basic Parachutist Badge, and the Special Forces Tab. He was posthumously awarded the Bronze Star Medal for valor, the Purple Heart, the Meritorious Service Medal, the Good Conduct Medal and the Combat Infantryman Badge. Palmerton is survived by his mother Mrs. Denise K. Brown of Auburn, Neb., his father, Mr. Steve Palmerton and his sisters, Amanda and Beth.